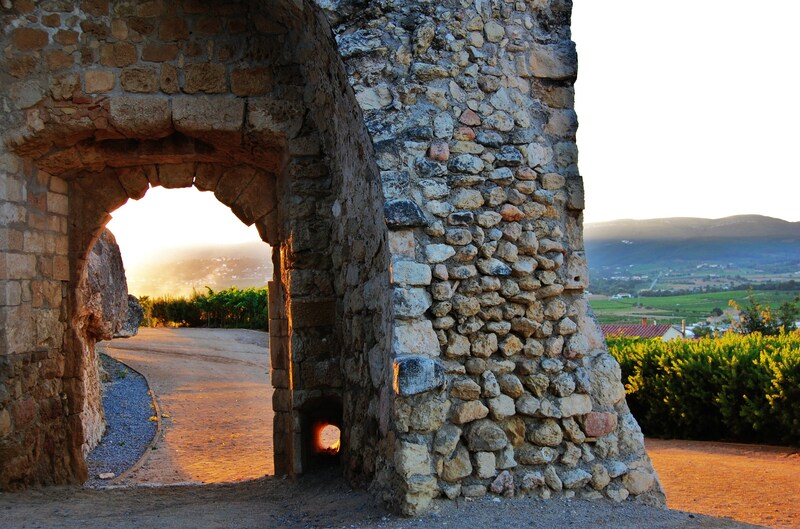 Between Barcelona and Tarragona you will find the Penedès, a region that has its own appellation of wine origin. 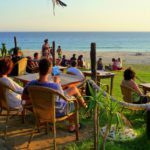 When you discover how the forests extent almost into the sea and the water reflects the mountains, you will understand the natural but also complex character that can be seen in every corner of this region. Wouldn’t it be great to capture it in your next audiovisual project? 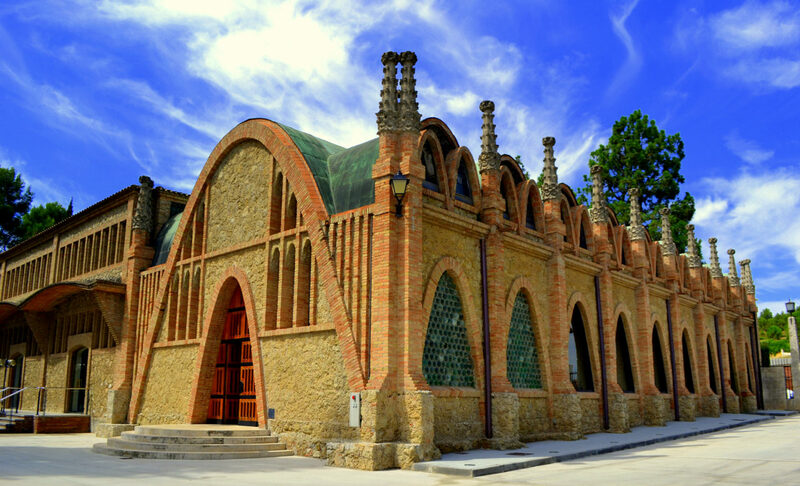 Vilafranca del Penedès is internationally known for its cava and its wines of the Penedès denomination of Origin, with various multinational brands. To get to know the city you can follow two routes: the modernist or the medieval one. Both will show you various locations to locate your photographic shooting or audiovisual production. The city is like a large open shopping center that combines the modernity of the vast majority of its shops with centuries-old establishments of traditional character. 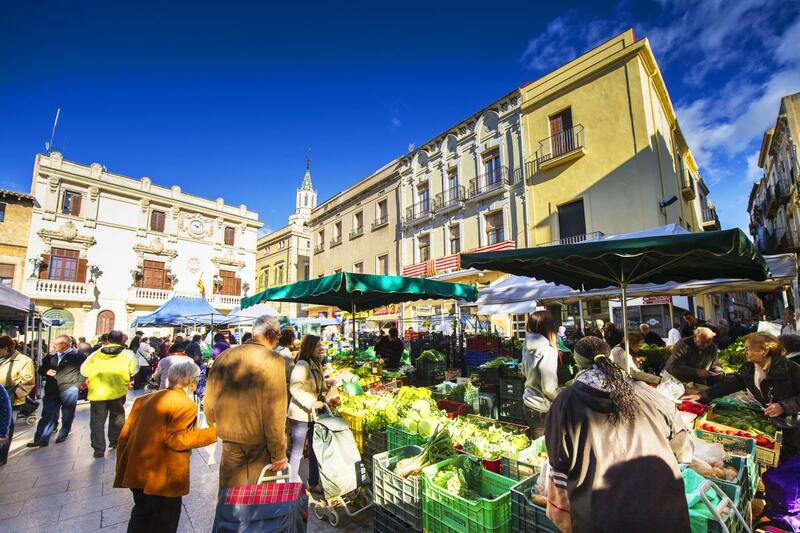 This city, in the Alt Penedès region, is indisputably the capital of the cava, with about a hundred wineries. 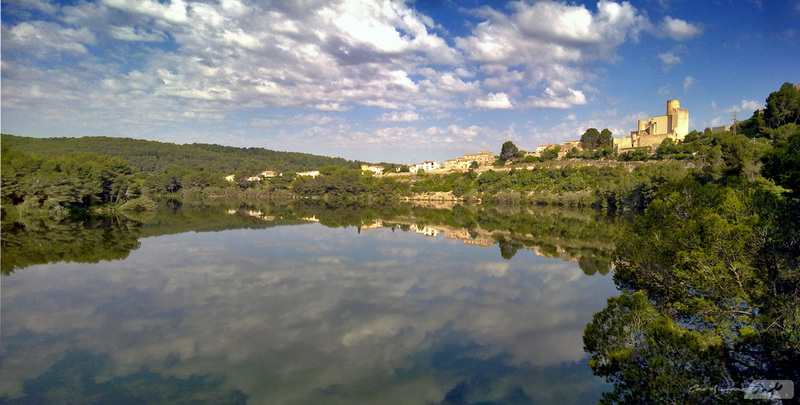 The landscape and the territory are the great attractions of this municipality surrounded by vineyards. Ideal locations for all types of audiovisual projects. 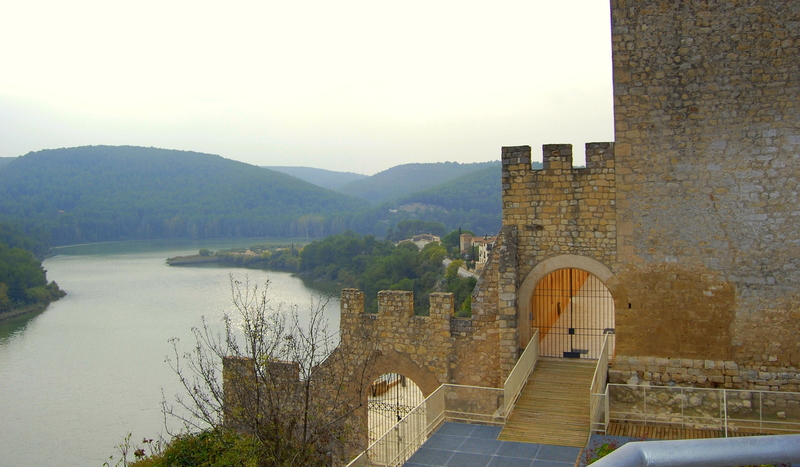 The whole of the castle and the Foix reservoir are located in the Parque del Foix, from which interesting routes lead to coastal towns such as Vilanova i La Geltrú or Sitges. 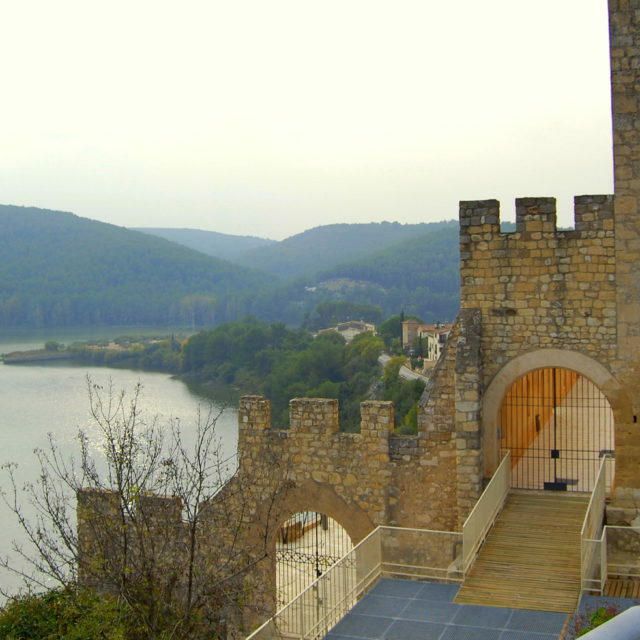 You can enjoy spectacular views from two perspectives, the viewpoint of the castle, in the highest part of the picturesque town, or from below, on the banks of the reservoir, in which waters the historical set reflects. The small medieval village invites you to a walk and to enjoy its charming corners that culminate in the different viewpoints located next to the Romanesque church of Sant Esteve or next to the elegant and slender castle, one of the most beautiful ones in the province of Barcelona, both ideal opportunities for your audiovisual production or photographic shooting. The monumental group formed by the castle of San Martí and the church of Santa María is cataloged as a historical-artistic monument of national interest. 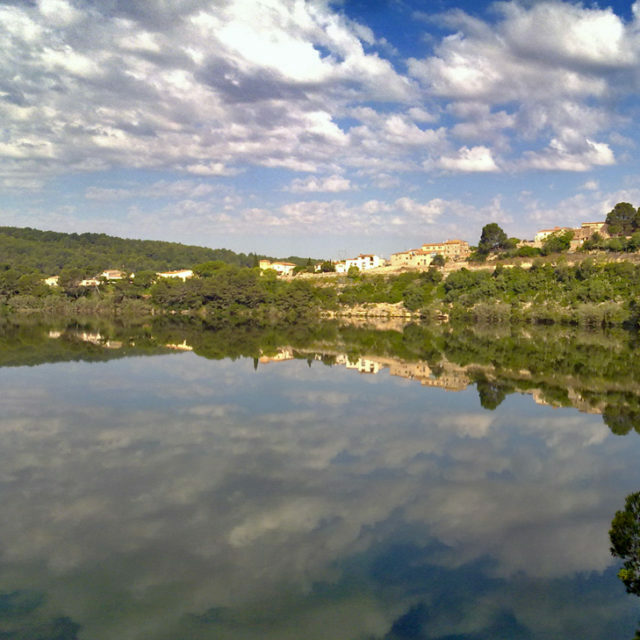 It presides from the hill of the Rock the town of Sant Martí Sarroca. The visit to the castle allows you to learn more about the chapter house, the bedrooms and the living room of the nobles. In the lower part you will see the room of the soldiers’ guard corps and on the other side of the central patio a meeting room and the dining room. Under this enclosure are the stables with a collection of utensils for the work on the land. 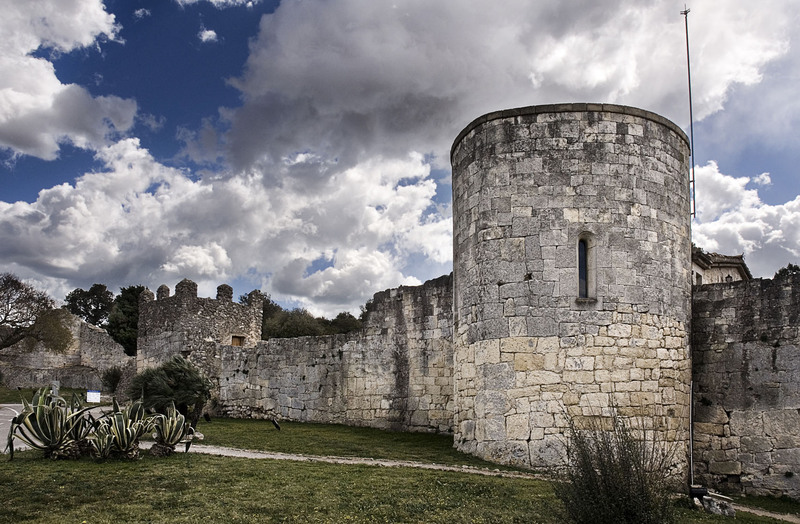 Go back in this location to medieval times in your next audiovisual project. This archaeological site, strategically located between the Penedès plains and the Garraf, is the most representative example of the historical evolution of the region. Parts of this extraordinary treasure are an Iberian town, a cistern and an impressive Roman military fortification, a medieval city with pre-Romanesque and Romanesque churches, a castle and medieval tombs carved into the rocks. A unique location for your audiovisual production or photographic shooting. 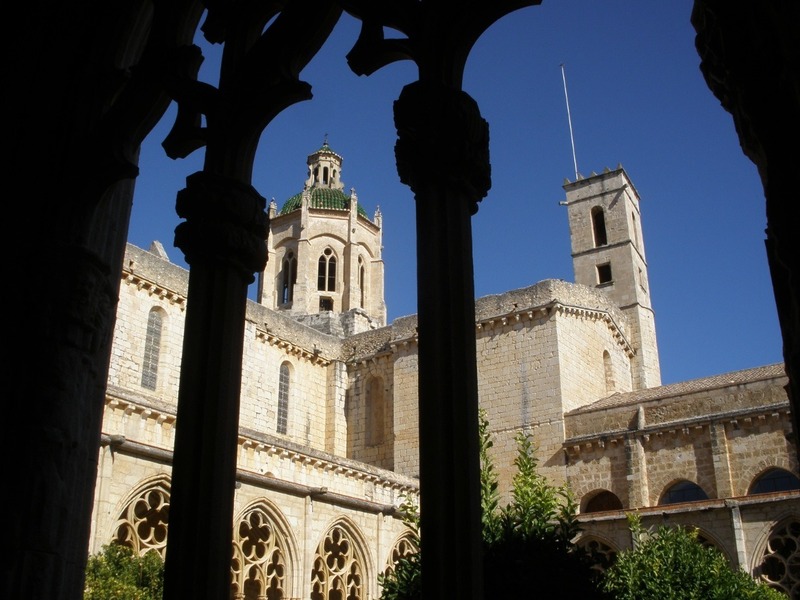 The Monastery of Santes Creus is a building of solid and austere architecture, which reflects the canonical model of the Cistercian monasteries. It is now adapted as a cultural space. This monastery is one of the medieval jewels of Catalonia and it gathers samples from numerous periods such as the Romanesque façade, a large Gothic stained glass window, two cloisters, etc. Choose here the ideal location for your audiovisual project. The Piélagos are located in Vilobí del Penedès, in the region of Alt Penedès. It is an area with specific environmental characteristics, formed by four lakes, each with its particular characteristics. 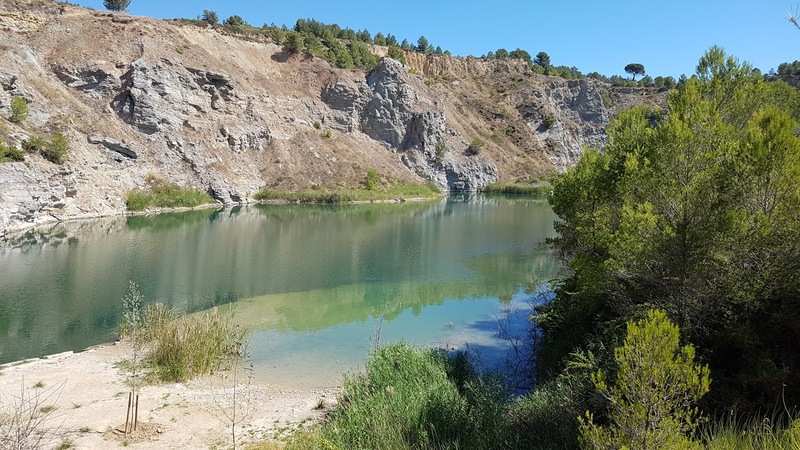 This singular and unique landscape is the result of the mining exploitation that was linked for many years to the municipality of Vilobí. A marvel of nature for your photographic shooting or audiovisual production. 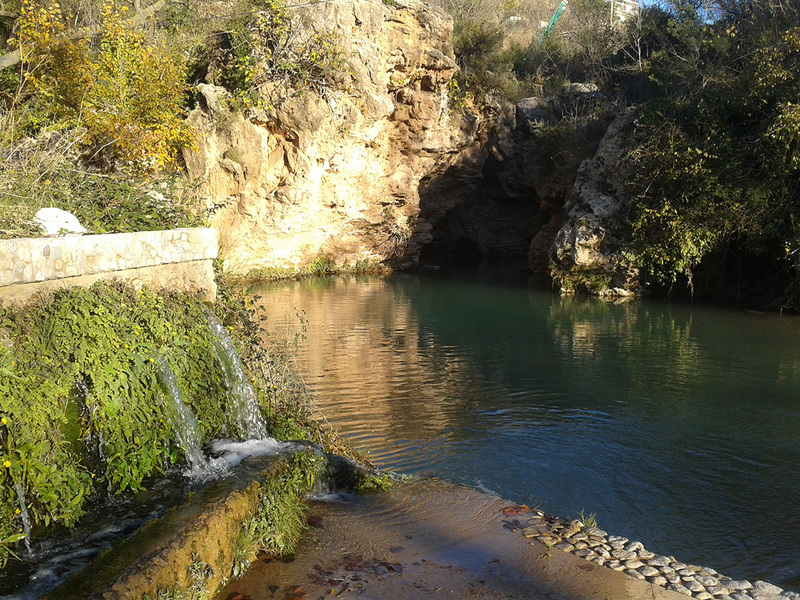 The fountains and caves of Les Deus are the main tourist attraction of Sant Quintí de Mediona. It’s a natural wonder created by the erosion of water. The sources of the Deus are 23 springs that pour water into the Mediona stream. Nature in its purest form for your audiovisual project. A pleasant stroll around this natural area will allow you to contemplate the 23 wells, the Deus foothills, the Deus and Degotalls caves and the steep and rocky gorge where the erosion of water throughout time has been modeling the relief that gave this place the so peculiar, original and whimsical forms. 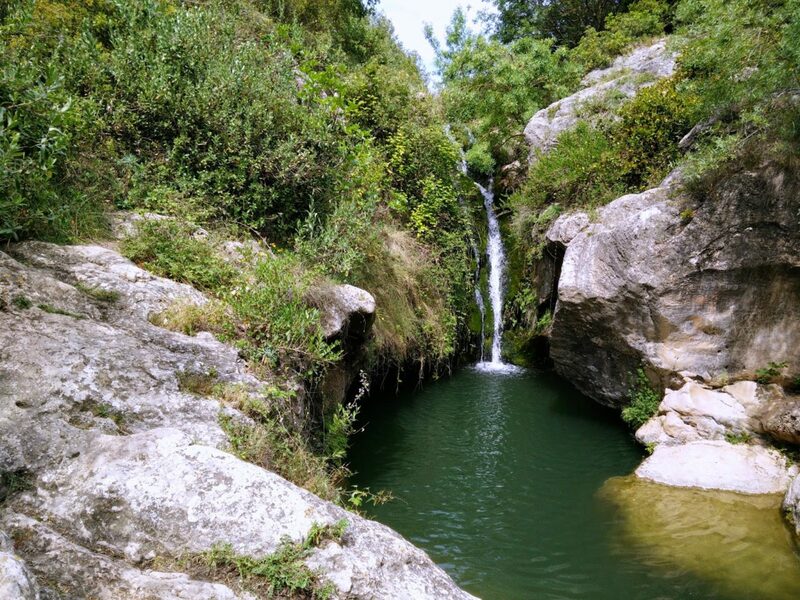 The fonts of the Dous, located on the shore of the Pontons stream, are the most emblematic natural place in Torrelles de Foix. The fountains are formed in a long wall from which thirty-five fresh water springs flow. On the same side of the springs the stream forms a waterfall of about 20 meters that plunges into the large sea of the Dous, also forming a natural space of great beauty that you can capture in your audiovisual production or photographic shooting. 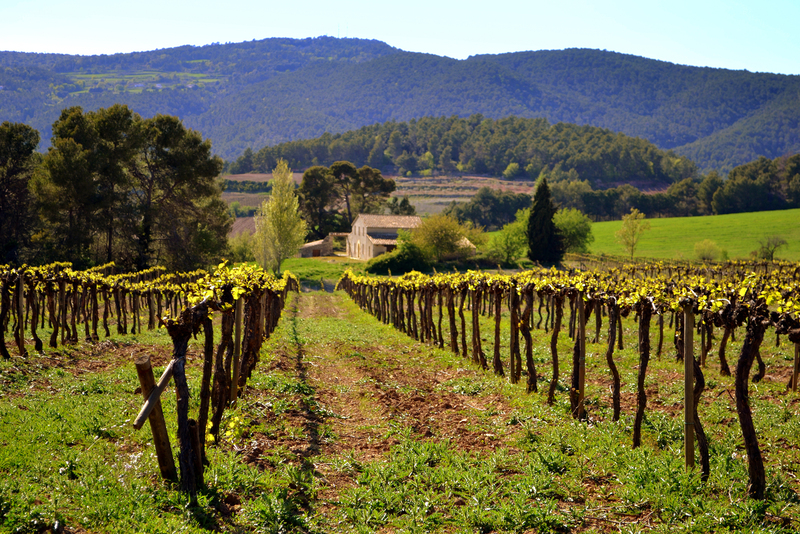 The influence of the sun and the Mediterranean Sea make the Penedès a privileged territory for the cultivation of grapes. 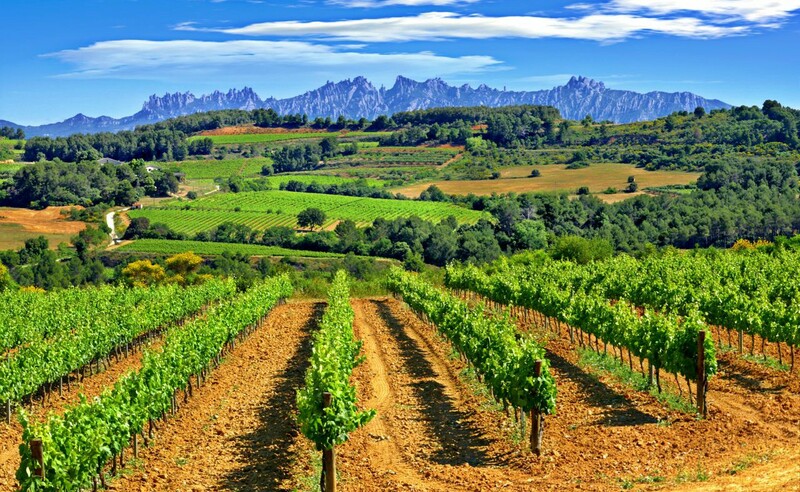 In the center of the Catalan pre-coastal depression, between the pre-coastal mountain range and the small plains of the Mediterranean coast, the Penedès vineyards mature. 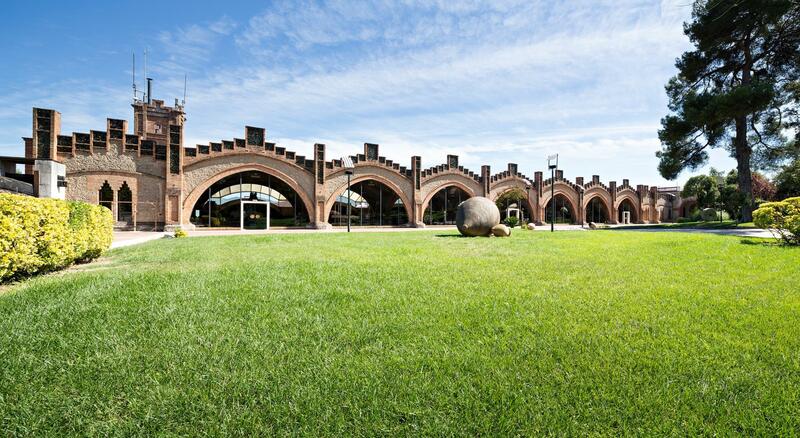 The best way to discover the Penedès is to visit some of its wineries. 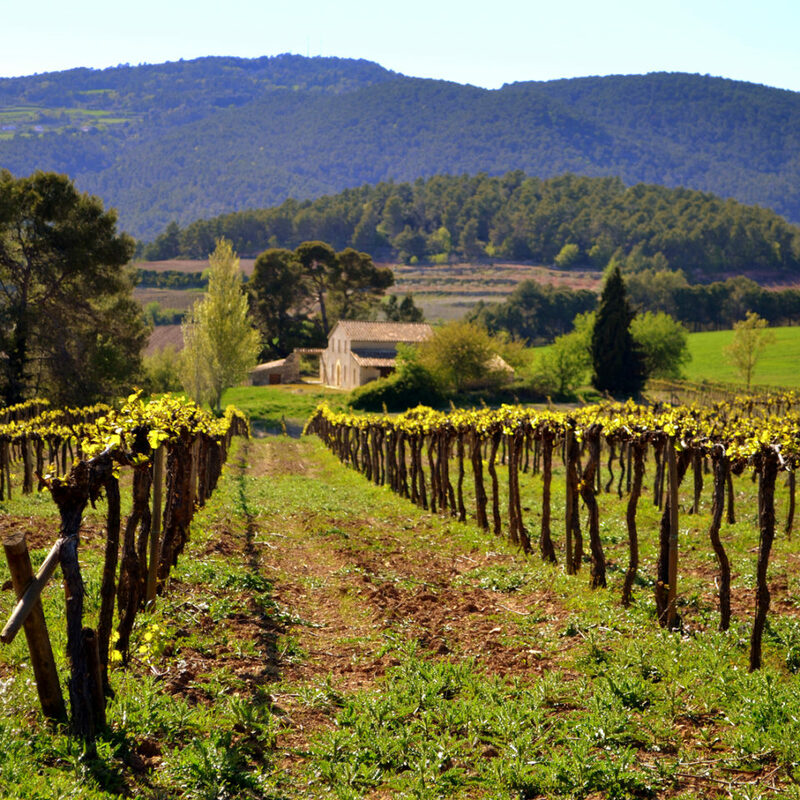 There are about 120 winemaking companies with the Penedès designation of origin and around 170 independent winemakers. 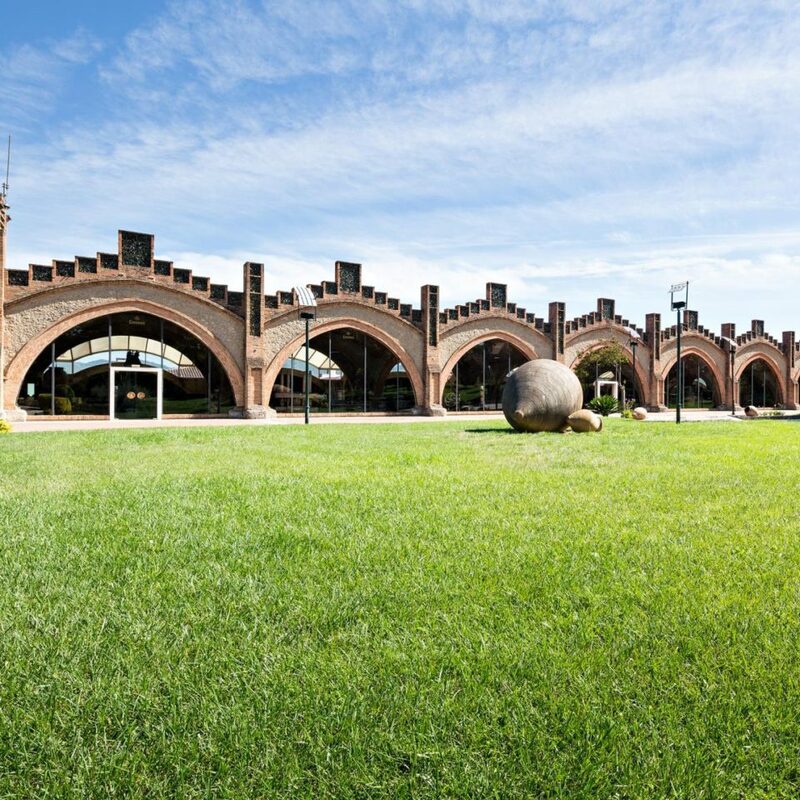 The doors of many wineries and cellars are open to receive you for guided tours to discover the secrets of their production and to taste their wines and cavas. Ideal locations for your audiovisual project. We are a full production service company providing support for audiovisual & photography projects. 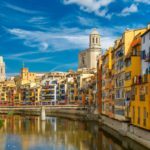 We scout incredible locations for your next big idea in the beautiful Mediterranean region of Catalonia, Spain. The clement weather conditions along with the diversity of landscapes are ideal to embellish your project. We work with brands from around the world turning ideas into realities that inspire. ©2018 Overlap - Premium WordPress Theme. Powered by WordPress.